Boult Audio brings a new true wireless product to the market to help the world transition from the traditional wired & wireless headphones to a truly wireless experience through its latest offering ECHO. With an outstanding combination of the style and the latest audio engineering, Echo is enabled with a touch mechanism which is both convenient and intelligent. Deep bass, ergonomic design and fit all in one lightweight earpiece are sure to make a style statement and give you the complete freedom from wires. ECHO is priced at Rs.2249 plus taxes and is available at Myntra. In terms of sound, Echo delivers a dynamic bass and a smooth balance of treble. This product is a true example of how strong and efficient the CSR8635 chipset is, along with the neodymium drivers these pods produce a great synchronised sound fit for all music tastes. Due to the ergonomically designed shape, the sound travels straight to the ear canals and delivers high fidelity audio to let the user enjoy music fully. Echo is made for the true audiophiles who are looking to get past the traditional wires and headphones. Using Echo’s proprietary touch mechanism, you can use single and double taps to accept, reject, end or redial calls, play/pause music and switch tracks. You can even take calls in HD with the built-in condenser MIC. Echo also allows the user to take voice notes on the go and use Siri/ google assistance voice activation. The pod case charges the echo pods 3 times with each charge lasting 8 hours of music streaming with 120 hours on standby, so you won’t need to charge your pod case for 3-4 days in a stretch. Echo also be used as two different monopods and connect it to 2 different devices. A unique way to charge your earphones, the Pod falls gently into the magnetic charging pod case and have the power to be fully charged thrice. The podcase is the ideal and a hassle-free charger for your earbuds anywhere you go. 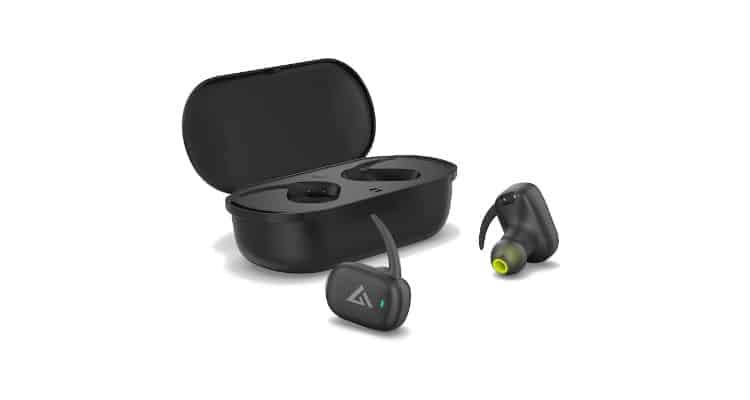 The earfins and the silicone ear tips provide the user with supreme comfort and a perfect fit so that the pods do not fall, even if you workout, run, dance, or move around in your office or during your commute, The echo pods are also IPX4 certified making them sweat proof and fit for long hours usage. Be at work, workout, commute, travel and leisure, Echo is your perfect partner. Boult Audio Introduces ECHO True Wireless In-ear Headphones 0 out of 5 based on 0 ratings. 0 user reviews.